Posted on October 26, 2017 at 11:24 pm. 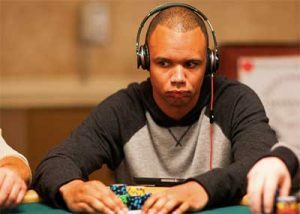 Professional poker player, Phil Ivey, has lost his final chance at retrieving £7.7 million in baccarat winnings after the UK Supreme Court dismissed his appeal. The 10-time World Series of Poker bracelet winner lost his case against London’s Crockfords Club Casino this week after he challenged a Court of Appeal judgement. The parent company of Crockford’s, Genting Casinos UK, refused to pay Mr Ivey’s winnings during a visit to the club in 2012 with his friend, Cheung Yin Sun. The pair played Punto Banco and used the technique known as edge sorting to gain an advantage. While edge sorting is a controversial technique as it involves players finding flaws in the deck to use to their advantage, the 40-year-old argued it is a legitimate method which he used at the UK casino. Genting Casinos, on the other hand, argued Mr Ivey had cheated and refused to pay Mr Ivey £7.7 million in winnings. As a result, Mr Ivey sued the casino conglomerate, with the High Court and the Court of Appeal both ruling against the professional poker tournament player, declaring he had manipulated a game of chance. While Mr Ivey appealed the 2016 ruling, the Supreme Court upheld the Court of Appeal’s decision. “It is an essential element of Punto Banco that it is a game of pure chance,” Lord Hughes said in a statement. “Mr Ivey staged a carefully planned and executed sting. He added Mr Ivey directed the dealer and tricked her into thinking her actions were irrelevant to the outcome of the game. “Mr Ivey’s actions were positive steps to fix the deck and therefore constituted cheating,” he said. Mr Ivey said he was incredibly disappointed in the decision by the Supreme Court, stating he doesn’t understand how the five judges could rule against him considering all the facts presented. “At the time I played at Crockfords, I believed that edge-sorting was a legitimate Advantage Play technique and I believe that more passionately than ever today,” Mr Ivey said. Genting CEO, Paul Willcock said the result of the case set a precedent for casinos and players in regards to cheating. “We are delighted that the High Court, the Court of Appeal and now the Supreme Court have all found in Genting’s favour, confirming that we acted fairly and properly at all times and that Mr Ivey’s conduct did indeed amount to cheating,” he said. “This entirely vindicates Genting’s decision not to pay Mr Ivey, a decision that was not taken lightly,” he said. Following the revelation Mr Ivey used edge sorting while playing baccarat, the Borgata Hotel Casino & Spa in Atlantic City, USA, mounted a legal challenge against him. The casino is suing Mr Ivey for the $USD9.6 million in winnings he racked up over four visits, alleging he cheated. While the case is somewhat complex, since the card manufacturer GameCo has been dragged in for designing a card deck featuring cosmetic flaws, it’s likely the UK Supreme Court decision will influence the result of the Borgata casino case.